GK 2018 : General Knowledge questions and answers for Competitive exam preparation and Interview. Current GK Quiz Questions with answer and explanation. General Knowledge 2018 for candidates who are preparing for Competitive examinations and GK Interview can read this page Today General Knowledge GK questions and answers and practice online GK quiz for better results.Best Site to know Today's GK, Today's News upto this minute. Shikshanjagat - Current GK is the Great Place for competitive exam preparation in one-stop. This valuable page grants all the Current happenings, Major Issues, Top events in National as well as World level with clear explanation, so you never miss out any latest GK. This page covers all GK current affairs which will be more advantageous for all competitive exams and Interviews. Here, you can gather all important materials on GK Today. 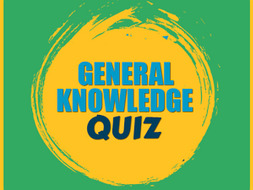 Through this page, Equip yourself with the latest General Knowledge.In this Page, Static General Knowledge is divided into three main categories as Basic GK, India GK & World GK and those are presented with numerous Subtopic wise manner for your easy understanding. For each Subtopic, Crystal clear explanation is granted, which you can't find anywhere else. 0 Comments "Talati, Clerk, Constable Exam 2018 Mock test No.33"